Exception occurred while connecting to WCF endpoint: System.ServiceModel.Security.SecurityAccessDeniedException: Access is denied. Verify that you meet the following minimum requirements: See Add-SPShellAdmin. You must also be a site collection administrator for the My Site host, and you must be a User Profile service application administrator with the Manage Profiles permission. Well that was all set and I was still getting the error. 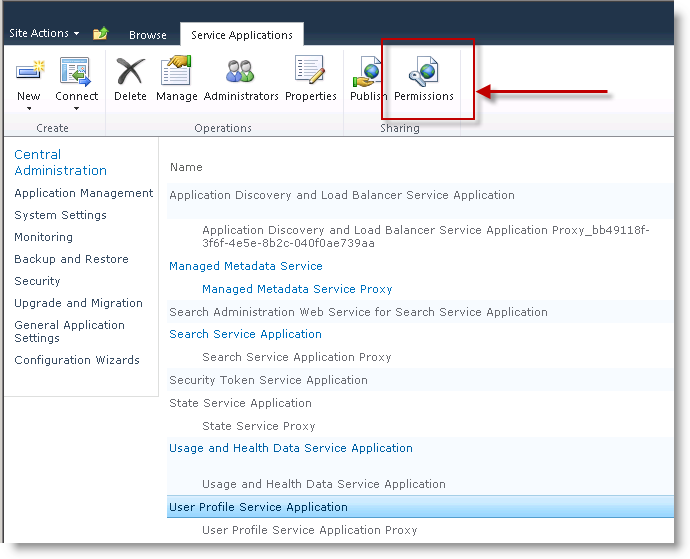 It seems the cmdlet uses the WCF service ProfilePropertyService.svc, so I gave my admin account full control in the Sharing section of the UPS application. This got me further, but now I’m getting access denied for the my site host database. So I add my admin account to the database containing my site host as db_owner, then re-run the cmdlet. Success! All photos are being added to the my site host library User Photos. To maintain least-privilege, I undo the changes I made above regarding changing account permissions in the service and the database. The Note Board is a pretty useful web part you can add to any page that can take web parts. It allows you to store comments in the social database against that page using it’s URL – just like the Tags and Notes button in the ribbon. The blog template is pretty much the same one from MOSS 2007, and uses the ol’ school comments functionality (stored in a separate list). The problem with this is you can also add social comments to a blog post – very confusing. It’d be nice to disable the blog comments, and just use the social comments. So lets give it a shot. Open the blog site, and click on a post title to get to the post.aspx page. From the Site Actions menu, select Edit Page. Once in edit mode, you can delete the Comments and Add Comment web parts. 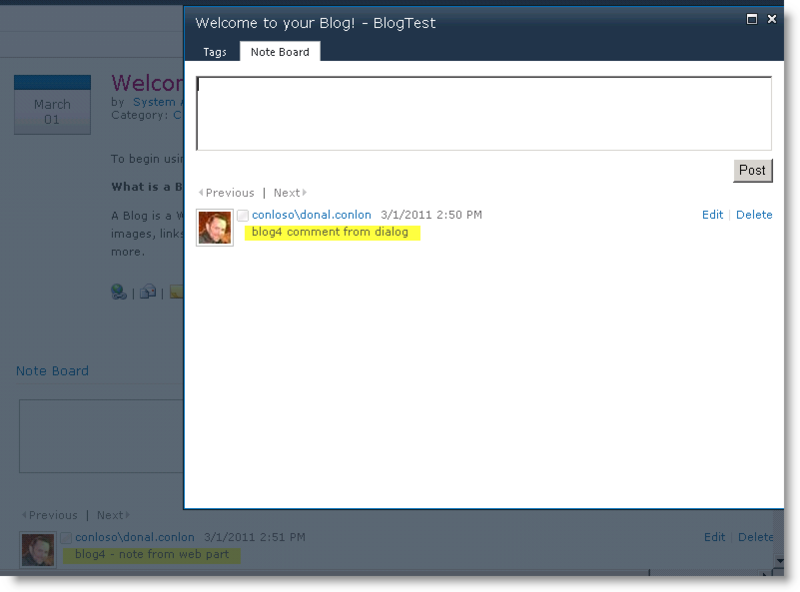 The Note Board web part is in the Social Collaboration folder in the web part categories. If you do not activate the publishing infrastructure feature, the note board will appear to work, but will not store comments correctly. The note board does not use the correct url for the page, so the notes stored using the web part, will differ from the notes stored using the Tags and Notes button. See the image below to see what I mean. The note board web part differences from the Tags and Notes dialog. If you discover this problem on the note board, activating the publishing infrastructure site collection feature will correct it.